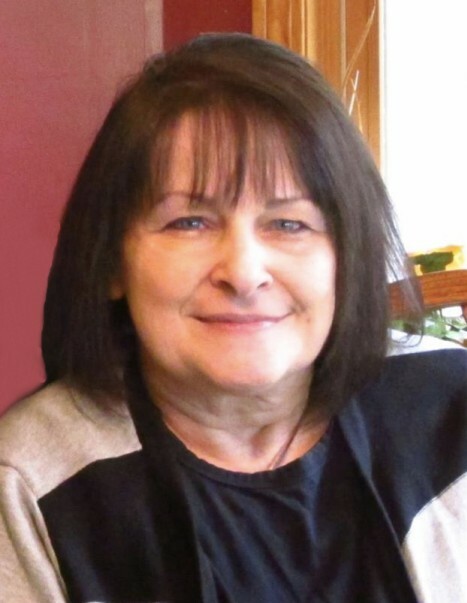 Carol A. Wingerter, age 62, of Alexandria, died on Saturday, April 13, 2019, surrounded by her family at Alomere Health in Alexandria. A Latin Requiem Mass of Christian Burial will be held at 11 a.m., Tuesday, April 23, 2019, at St. John Vianney Priory in Round Prairie with Fr. Jacques Emily officiating. Interment will be at St. Mary’s Catholic Cemetery in Alexandria. Visitation will be held from 4-8 p.m., with a 7 p.m. rosary, Monday, April 22, 2019, at the Lind Family Funeral Home in Alexandria and from 9:30-10:30 a.m., Tuesday at the funeral home. Carol Ann was born on October 3, 1956, to John Sr. and Dorothy (Jochim) Mosset in McLaughlin, South Dakota. She was baptized and confirmed in the Catholic faith. Carol attended St. Philomena Catholic School and High School in Selfridge, North Dakota. While living in Selfridge, Carol raised her family on the farm until they later moved to Mobridge, South Dakota. She was united in marriage to her high school sweetheart, Robert Wingerter on September 2, 1971 at St. Philomena Catholic Church in Selfridge. Carol and family owned and operated The Morning Star Inn, assisted living center and hotel in Mobridge, South Dakota until they relocated to Minnesota in 2001. Carol was known for her sense of humor and her laughter! Carol loved the holidays with her family but especially loved Christmas. Carol enjoyed gardening, baking, and garage sales. Also, loved collecting angels and roosters. Overall, she loved taking care of her family. Carol was a devout Traditional Catholic and spent much of her time praying the rosary, baking and spending time with her family. She was preceded in death by her parents; John and Dorothy (Jochim) Mosset and grandparents. Carol is survived by her husband of 47 years, Robert; 12 children, Kary (Stacey) Wingerter of St. Marys, Kansas, Shonda Kershaw of Alexandria, John Wingerter of St. Marys, Kansas, Mike Wingerter and Bryan Wingerter both of Alexandria, Bradley (Genevieve) Wingerter of Grafton, North Dakota, Eric (Cassie) Wingerter of Sebeka, Tyler Wingerter of Alexandria, Jordan Wingerter of Dickinson, North Dakota, Brittany Wingerter, Daniel (Olivia) Wingerter, and Kelsey (Kodi) Dosdall all of Alexandria; two brothers, John Mosset Jr. of Selfridge, North Dakota and Roger (Brenda) Mosset of Spearfish, South Dakota; two sisters, Gloria (Doug) Chapman of Bella Vista, Arkansas and Geraldine (Larry) Pleinis of Mobridge, South Dakota; 38 grandchildren; six great-grandchildren; and many nieces, nephews, and other relatives. There's still time to send flowers to the Visitation at the Lind Family Funeral & Cremation Services from 4:00 PM to 8:00 PM on April 22, 2019.